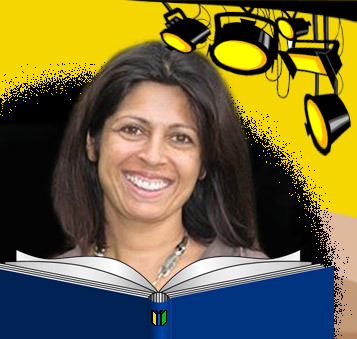 Author Sita Brahmachari‘s latest book is Car Wash Wish, her second novella for Barrington Stoke, a UK publisher who specialise in making books accessible to struggling readers, with a special emphasis on dyslexia. It’s an inter-generational story narrated by its 12-year-old protagonist Hudson, who has Asperger’s. It touches on universal themes of bereavement as well as a young person finding their place in the world and learning to adapt to shifts in family dynamics. At the same time, Hudson’s personal journey brings readers close to how his mind works and it is a very special read both for encouraging empathy and for young people with Asperger’s to see themselves represented in fiction: and Sita talks about this very movingly here. Sita was born in Derby (UK), the daughter of a nurse from the Lake District and a doctor recruited from his native Kolkata in the 1950s to work as a GP in the relatively new NHS. She moved around as a child but the Lake District was always a constant, and it serves as the vivid backdrop to her third novel Kite Spirit. Sita has worked extensively in theatre, with a particular interest in community theatre and education. She talks here about a recent project adapting Shaun Tan‘s now iconic The Arrival for the stage with Kristine Landon-Smith and Tamasha Theatre Company. I was fortunate enough to catch it in York during Tamasha’s UK tour in 2013. It was a beautiful production – moving and exciting. You know you’ve seen something special when there is a slight hush to the audience’s departure… The play has since been published by Bloomsbury and it is definitely worth keeping an eye open for. 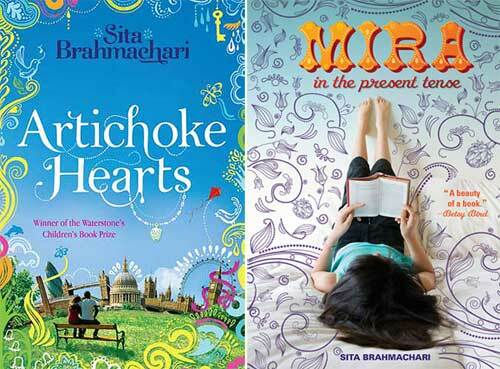 Sita’s first novel Artichoke Hearts (published as Mira in the Present Tense in the US) won the Waterstone’s Children’s Book Award in 2011; and its sequel Jasmine Skies was nominated for the Carnegie Prize. 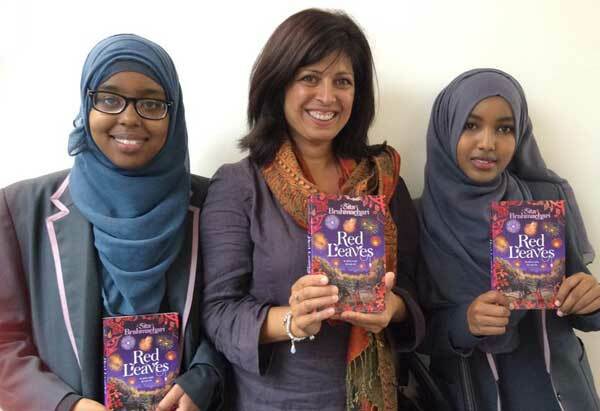 Her latest novel Red Leaves is endorsed by Amnesty International as a book that can help young people explore human rights concerns. Most recently, Kite Spirit has been selected for the Reading Agency’s Read Well Books on Prescription scheme and Car Wash Wish is Book Trust’s Book of the Month for May 2016. Perhaps Sita’s background in theatre has influenced the strong sense of ‘being there’ that all her books evoke in the reader: whether it’s an extraordinary house perched over a waterfall in the Lake District (Kite Spirit); or a cottage on the Suffolk Coast (Artichoke Hearts); or hectic, vibrant Kolkata (Jasmine Skies). Whilst she doesn’t shy away from addressing ‘difficult’ subjects (her books to date encompass themes of terminal illness, refugees, teenage suicide, dementia and care of the elderly, homelessness, divorce, and extended family relationships and friendships across generations and cultures…), her books never fall into the trap of pushing an issue. In fact, her writing embraces the reader at the same time as leading him or her to confront the dilemmas and challenges faced by her deeply human characters. 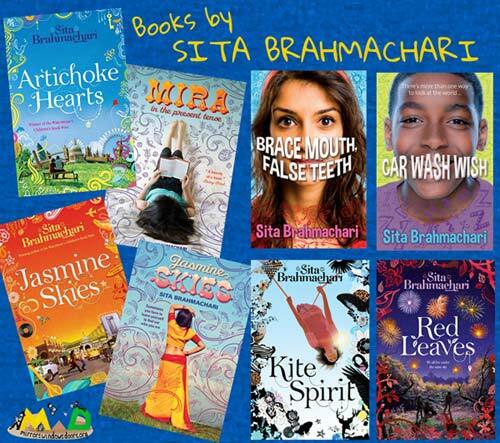 Love and respect underpin her books: both within their individual, diverse narratives and, one senses, emanating from Sita’s empathy with the young people she is writing about – and for. 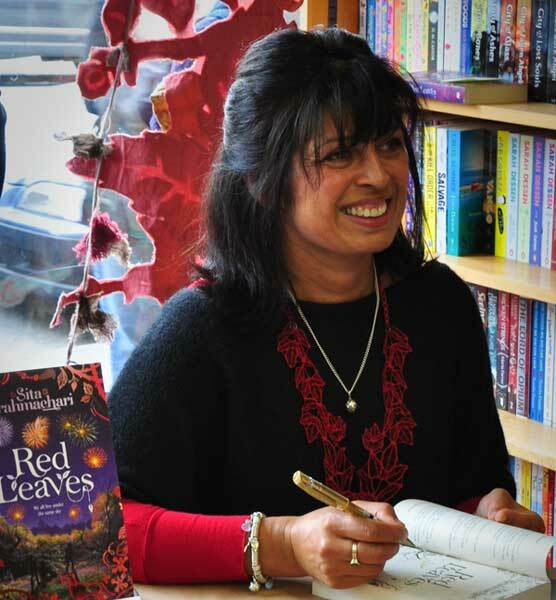 I am so happy to welcome Sita to MWD – I have loved finding out about what motivates her ‘word-weaving’, and about some of the projects and initiatives she and/or her books are involved in – and ‘snow dome moment’ has entered my lexicon… Yes, you’ll just have to read on! Your latest book is Car Wash Wish, your second book for Barrington Stoke. (Your first was Brace Mouth, False teeth.) What for you is good about writing for them – and is it a different writing experience? As a child I was late to learn to read. I lived in my imagination and loved picture books but for a long time found ‘big books’ difficult to face. I didn’t want to lose the pictures (still don’t). My first experience of independent reading was in reading poetry. I was given a poetry book called For Your Delight by my uncle. I still have it. I started reading poems for pleasure. I felt I could contain the thoughts, I could re-read lines and phrases. The way poems lay on the page was easier for me to take in. They didn’t look daunting and yet I was reading poets who were challenging my thinking and allowing me to enter new worlds. Poetry was also a place where I found my own internal mirrors reflected. Later, I discovered a love for short stories as well as longer novels. I still love a short story and novella – I think in this age of constant communication it is so satisfying to sit on a train or bus and feel that you can finish a story by the time you get to your destination. I have loved writing both of the Barrington Stoke stories. If I had been given the range and choice of stories in the Barrington Stoke list as a child, I am sure reading novels would have been more of a seamless process for me. I love the range, genre and style of books on offer by Barrington Stoke and I hope that the quirky, heart-felt books I have written so far and the further two I have been commissioned to write contribute to this wonderful canon. I find no difference in writing for Barrington Stoke than writing for other publishers. The specialist editors will make suggestion if I have used over-long sentences (so they should!). I am being given the most wonderful opportunity to write short stories and novellas by an inclusive publisher with a stunning list of author contributors. These are stories for all young people. Car Wash Wish‘s main character Hudson is autistic. What were the challenges for you, writing in his voice? When I was twenty years old, I first met my brother-in-law, who has autism. He is now in his fifties. He’s a wonderful artist who has exhibited his work in galleries. He now lives in a care-in-the-community home. However, as my mother-in-law told me many times, when he was going through the teenage years there was little or no understanding of his needs or the needs of the rest of the family. She saw understanding about autism grow in her lifetime but during his teen years her son was placed in care provision that was not suitable for him. Happily, my brother-in-law now lives in a home where there is understanding of his needs and the way he sees the world. In my first novel Artichoke Hearts, I originally placed a scene in which an autistic boy has to say goodbye to his dying mother. It was a heart-breaking scene and my editor and I both decided that the story needed more space. I let it mull. I was not expecting a boy with Aspergers to emerge through Car Wash Wish. I set out to write a story about three generations of fathers and sons who have their best conversations in a car wash. Halfway through I realised that Hudson has autism. My brother-in-law speaks little and paints a lot, while Hudson is very chatty and engaged: but what they share is a warmth and a way of seeing the world that I think we all have much to learn from. My main challenge in writing Car Wash Wish was to work out who Hudson was speaking to. As he finds it hard to communicate and his family are facing difficult times, he can’t think of anyone – and for a while, neither could I. It was isolating, sitting with that sense of isolation: but perhaps that is what I needed to do to write Hudson. After a while I discovered a life line… Hudson’s mother Pearl is in the early stages of pregnancy and Hudson finds it easier to speak to his unborn baby ‘Zygote’ brother or sister than he does to anyone ‘on the outside world’. From the moment that I discovered this, Hudson’s voice, as he confides in his unborn baby sibling, began to flow. A car wash is an unusual focal point – where did that idea come from and, in the name of research, was your car particularly clean while you were writing the book? I visited a car wash three times during the course of writing… and that did mean that our family car was three times cleaner than it has ever been – which had to be an improvement! We all have memories of those places where we have been able to speak of things that are normally hard to say… and where the location somehow helps. I think of these as ‘snow dome’ moments of the memory. When you shake up your own childhood memories, what are the moments that settle? Sometimes it’s the unexpected and seemingly mundane moments in life that present the most precious memories. Car Wash Wish packs some big themes into its relatively short number of pages: as well as Hudson’s negotiations with a sometimes incomprehensible world, the plot centres on Alzheimer’s, bereavement and Hudson’s walking a tightrope between his parents and their broken relationship. It would be easy to let all that run away with you but the book is beautifully paced and offers ample space for the reader to feel a deep connection with Hudson. How do you think you achieved that and did you go through many drafts of the story? The things that happen to Hudson do and have happened to many young people as they grow up. I think the thing I keep in my mind when I write is that before a young person is eighteen they are very much dependent on the decisions of the adults around them. When we feel powerless, we all find it hard to express our emotions and Hudson especially so. I hope that everyone will empathise with Hudson’s situation. I think that, because we are firmly in Hudson’s world and mindset, we follow what is happening to him and his family at his pace. Sometimes, in order to process the changes, he has to slow life down and do a bit of research or create diversions like making rhymes for ‘Zygote’. And in these moments I try to capture what it must feel like for Hudson to take in all that is happening around him. Hudson questions everything and doesn’t take anything for granted so I was placed in the same situation. His questioning of events is what dictates the pace of the novel. Essentially, I had to listen carefully to what Hudson is able to take in at any given moment. What reactions have you had to the book from teenage readers – and specifically from autistic readers, if you know of any? I have been really delighted with the response to the book so far and that it has been so well reviewed. I am so pleased that people seem to be able to connect with Hudson. I have drawn this session today in the classroom. The person I am writing to is you. It is easier for me to show you how I feel because you have written a character in a book who is like me and if everyone reads it they could understand me better. Later his teacher told me that he had never contributed to discussions in this way before. In another classroom as part of a Pop Up Festival event in Peterborough, a teacher said that he, like my character Hudson, has Aspergers and he looked forward to exploring the story with students. The main feedback that I have had from teenagers who have read the book is that the story gave them a window into Hudson’s world and that they could empathise with many of the feelings he has. So the process of reading Hudson’s story makes them closer to him and to the part in all of us that feels that the world can be a confusing and nonsensical place. Car Wash Wish is your first book with a male protagonist at the centre – although, of course, boys are key characters in your other writing. I certainly don’t mean to be sexist, but I suspect that up to now, your main readership has been girls – has Car Wash Wish brought more boys to your books in general, do you think? I am in total agreement with the Society of Author’s Let Books Be Books Campaign against gendering books. I have had strong male and female characters in all of my books and boys that have read my books have responded powerfully to all of them. I don’t like to divide stories on a gender basis but I am aware of the research that boys tend to engage more with a male protagonist whereas girls will follow a story whether it is told by a male or female protagonist. This won’t change unless we offer a range of stories and perspectives and challenge the stereotype. I like to mix it up. In Red Leaves the narration is shared between boys and girls and men and women of all ages. In Car Wash Wish I felt like focusing more on the father and son’s relationship. I enjoy writing male as well as female characters because part of the essence of writing is to step outside your own experience of the world and find a common humanity. You spoke in an article for The Guardian about how important it is for you to find the right names for your characters. Hudson was named after the river– what made you choose that connection and, without giving the story away, did you know from the start where you wanted it to lead? I put a lot of thought into naming my characters – just as I did when naming my own children. 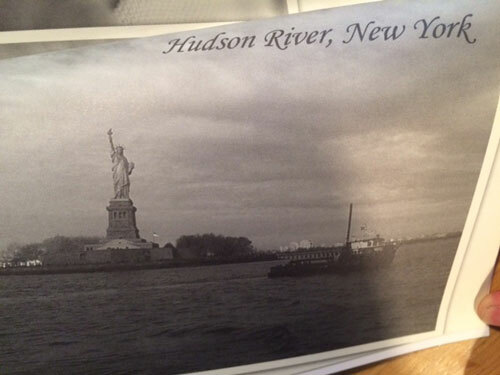 The Hudson River came to me because I imagined where Harry, Hudson’s Grandad, would have dreamed of travelling to. It was important to have Hudson know that there was a strong connection between him and his Grandad, even though, because of his Alzheimer’s, Harry hardly recognises his grandson now. At an emotional moment in the story Hudson remembers being told that his Grandad gave him his name… that then led me to the resolution of the plot as it unfolded. From your very first book Artichoke Hearts, you emphasise the rootedness of a name; and it seems that the backstories of your characters’ names become intrinsic to their narratives. Do you agonise over it, or do the names and indeed nicknames come to you easily? Sometimes names come easily; sometimes they don’t. Like Pat Print, the writing tutor in Artichoke Hearts, I’m keen on alliterating names! Jidé Jackson, Ben Gbemi ( the ‘G’ is silent), Laila Levenson (the protagonist in my next book for Macmillan, to follow Jasmine Skies)… I have fun with names in stories. They’re a kind of mind doodle for me and often lead to plots. ‘Pat Print’ … foot print … cow pat … Yorkshire … You see how it goes? I was intrigued to learn that Aisha’s name in Red Leaves was chosen by a group of Somali girls (and I find it very interesting that they decided on the name with a conscious awareness of its universal appeal as well its being individually apt). How did that come about; and, since names are so important for you, how easy was it, in fact, to relinquish the decision? Aisha is a universal name that everyone can pronounce. It’s in different cultures. Aisha is not a word you stumble over when you say it, if you’re not from Somali culture. We want everyone to ‘get’ her and we don’t want anything like a ‘hard to pronounce name’ to get in the way. There are hardly any characters represented in books from our culture – we want people to like her. I found it hard to change her name. My feeling has always been, why should you compromise your name just because people don’t make an effort to pronounce it? But I recognise what these young women were saying about where are with diverse characters in books and I felt I had to respect their take on the reality of how often they are represented in books. I hope one day that we are in a situation where I could legitimately argue back that there are many representations of characters from Somali culture and we should expand the name and character base as far as possible. Like a lot of good fiction for teenagers, your stories often follow a character’s journey towards self-discovery; and you don’t shy away from setting that journey against a challenging emotional background, such as Kite’s best friend’s suicide in Kite Spirit and Mira’s grandmother’s death from cancer in Artichoke Hearts. When you set out to write a new story, what concerns do you have in taking on such subject matter? Children and young adults experience all aspects of living, which includes dying. I don’t believe in separating children from these experiences. The earliest fables and fairy stories have explored the whole gamut of emotions that life presents us with. I write intergenerational stories in which the children and young adults are part of a wider and interconnected world. I am keen to research and I do talk to doctors and psychologists about what a child of a certain age can process. In this way I find the tone for a story and how far to take certain explorations. I hope that my stories have a large emotional range from laughter and joy to sadness. I think not exploring certain subjects with young people in life and in stories can lead to great difficulties. Tragedy occurs where children feel that there is nowhere to turn, in reality or in fiction. 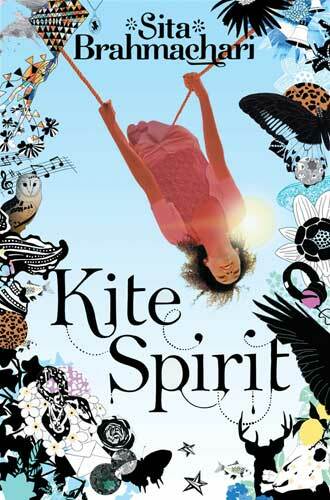 I am delighted that Kite Spirit, a book about the pressures teenagers face, has been chosen by The Reading Agency as a ‘Book on Prescription‘. I have been told many times by young people that reading stories where the characters face great challenges helps them to orientate themselves in the real world. My stories are ultimately hopeful that change can always come… and as I have written rites of passage stories, they enable the reader, like the protagonists of each story, to experience some difficult and emotional situations and to find their way through. Throughout your career, both in theatre and as a novelist, your work has highlighted ethnic diversity. 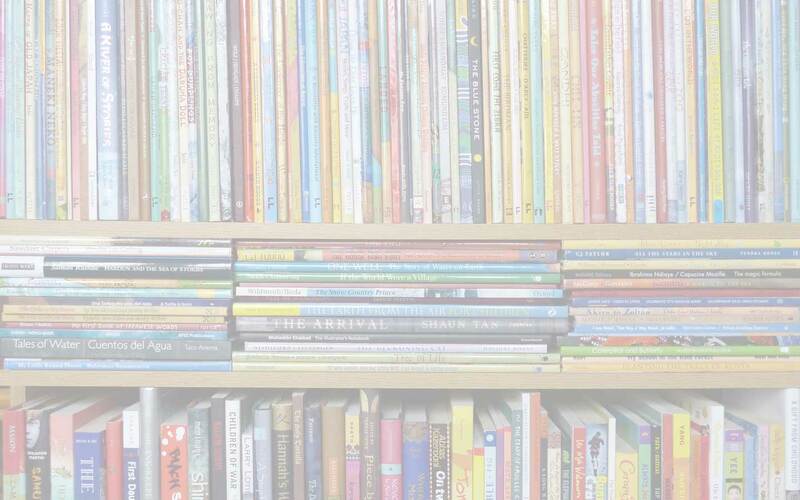 For you, what have been the most important aspects of this and, when you look at the children’s literature scene in the UK, where do you think we are at? I was aware while studying English Literature at university how little broad representation there was. Even in Contemporary Literature modules there was a paucity of diverse representation in the stories that were deemed ‘great’. I am sure this has changed a great deal today. As a student I actively sought out writing that could give me access to a more diverse world. Gabriel Garcia Marquez, Isabelle Allende, Wole Solinka, Ben Okri, Anita Desai, Salman Rushdie, Rohinton Mistry, Maya Angelou, Alice Walker, Toni Morrison, more recently Zadie Smith: these authors were giving me access to worlds I had not seen represented in literature before, worlds which shed light on similarities and differences, and work that brought me into an empathetic relationship with characters that exist but who were at the time seldom written about in stories. You wouldn’t want to read about yourself all the time, but just sometimes when you recognise a character to share a truth with you, it can feel like your life too has been recognised. After working for some years in community theatre I went on to do an MA in Arts Education at the Central School of Speech and Drama and I explored the effect of a diverse approach to representation for young people in theatre and in the Drama classroom. So through my work and study I have very naturally worked in whatever ways I can to open up discussion around diversity. In my recent novel Red Leaves I explore how young people are often better and more open at navigating a diverse world than adults and political leaders. Perhaps this is because of their own lack of engagement. Children’s and young adult literature is a powerful way for people to walk in each other’s shoes and to feel empathy for another’s experience, no matter how different than our own. Ultimately, I think ’empathy’ is the most important skill that any human can learn… and fiction is a powerful place to learn it. In that respect I hope that each of my stories helps to build a repertoire of characters and journeys that expand children’s empathetic abilities and help them recognise that there are many perspectives on any given situation. I’m looking forward to being part of Empathy Lab initiatives in the coming years. How have your own cultural background and the fact you moved around quite a bit as a child influenced you as a writer? I credit the voice I bring to my writing to be a combination of many people, places and things: my upbringing, education, history and experiences; the people I have met; the landscapes I’ve lived in; the people I love and have loved; and the places I’ve travelled to. My parents’ early mixed-heritage marriage in Britain meant that they faced many struggles, but also brought four children into a marriage of dual culture, religion, language, and heritage and often different opinions. My Dad’s stories of his own childhood landscapes resided in my early imagination long before I travelled to India. The space between what is told, what is real and what is imagined creates a fertile compost from which the imagination can grow. Your character Jidé Jackson in Artichoke Hearts was a refugee from Rwanda, with a heart-breaking story that Mira gradually gleans as her friendship with him progresses. 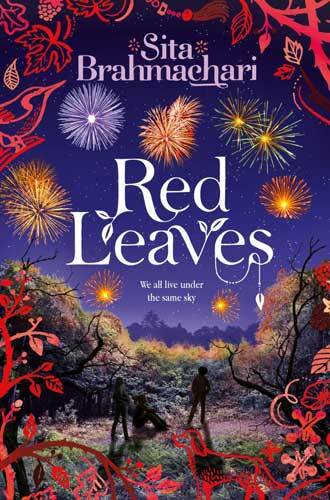 And in Red Leaves you juxtapose Aisha, who arrived in the UK several years earlier as a refugee from Somalia, with Zac, whose journalist mother disappears while on assignment in a war zone. Your writing evokes such affection and care for your characters but also gently opens readers’ eyes to real events and their consequences (through Mira’s research online into the war in Rwanda, for example). What do you want readers to take away with them from reading these harrowing storylines? There are many Jidé Jacksons in the world. There are many Aishas. There are children like Zak whose mothers are war journalists. In the news we see refugee children and families suffering every day. But for many people what is taking place is so horrific that they can’t watch the misery… Some may say children shouldn’t have to face this sort of horror… yet this is happening to children. By writing these characters, I hope that the interaction between readers and the worlds I create can help young people—and the adults they grow up to be—recognise the humanity in each other. Sometimes, fiction is a place where we can explore reality with greater clarity and openness than real life. I hope that if you are Jidé or Aisha, you can feel that others may know and understand you better and that you exist in the stories being told in our world. I am always led by character and so people find out about each other in my stories the way people find out about each other in life… Perhaps through meeting in a shared space, like my characters in Red Leaves meet in an air raid shelter in a city wood. If a reader who had never met anyone like Aisha before reading Red Leaves then met someone whose experience had something of Aisha’s, I hope that they would be able to empathise with her. In the same way, I hope that an Aisha who had never before met a girl like Iona (a homeless Scottish girl) would have a greater understanding of how she has become so tough, having lived on the streets since she was fourteen years old. I hope that, as my characters do, they would discover some unexpected commonalities. You also recently adapted Shaun Tan’s The Arrival for the stage. I was fortunate enough to see Tamasha Theatre Company’s production and it was truly wonderful. It was fascinating to watch a play that added layers of language, music and movement to the wordless story – it became someone else’s story, in a way, but still retained the universality of the original book; and it has stayed with me and my sons, who still talk about the storm scene and more… What was the background to your adapting The Arrival? Did you have any contact with Shaun Tan about it, and if so what was his reaction? The Arrival was the result of a four-year collaboration between Circus Space and Tamasha Theatre Company and a much longer connection with Kristine Landon-Smith (then Tamasha’s Artistic Director) in community and education projects. The Arrival was co-created by Kristine and myself. The text is published by Bloomsbury and includes an introduction about the process. I have always loved Tan’s work and The Arrival in particular spoke to me about my father’s journey as a migrant into the UK from India in 1959. His stories of his long journey by ship, the strangeness of this land to him when he first arrived and his gradual integration, always with an eye to help fellow migrants, are a universal story. I made the ‘man in the hat’ an African man with a specific story – but like my father’s history, it is universal. In our theatre production as in Europe now, there are many arrivals from many different countries from the 1950s to the present; and the man in the hat, now old, is witness to it all. He sees people passing through the house of migrants he has built as a shelter for himself and them. Kristine Landon Smith and I have worked together for many years on community and education projects at Tamasha. In the process of developing the script we worked with refugee writing groups and choirs. Work with these groups was integrated into The Arrival. I don’t see myself as a playwright but a storyteller; and the adaptation of a graphic novel is a perfect fit to what I feel I am able to do in theatre. For The Arrival I scripted a sparse poetic narrative that fuses poetry, dialogue and recorded stories of refugees and migrants. I love the many languages that theatre speaks: the visual world, spoken language, music and physicality. Exploring Tan’s images with Kristine, as well as circus artists, actors and refugee groups was an inspiring process. Many of the images are of suspension and flight and the perfomers (including circus artists and actors) in The Arrival were able to fly and fall just as the characters in the story do. Meeting the wonderful and humble Shaun Tan and having him be excited about the play was such an honour. 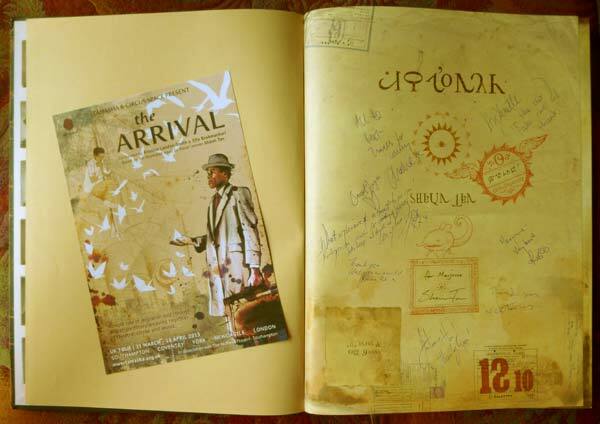 My copy of The Arrival signed by him is one of my most precious books. What was it like for you watching the show – and are there any plans to revive it, do you know? The show performed in many different theatre spaces up and down the country. Each time it performed you could feel that people were bringing their own migration stories to their viewing of the performance. For me personally the ‘man in the hat’ was my Dad and so I found the story of a character always suspended between worlds extremely moving. Talking to people after the show, I discovered the man in the hat was many people for our audiences. The sepia world of Tan’s extraordinary imagery was the fabric of this production. It felt right that this play was created by the children of many migrants and refugees who arrived on ships from ‘Motherland’ countries in the 1950s. I can’t count the number of times we have been asked to re-mount the production. 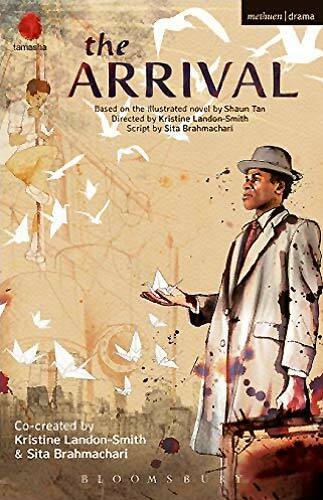 There has been a lot of interest from schools and universities and the published script has already been used for 6th form and drama college productions, in which students find the space in the text to bring their own migration stories to the narrative. Clearly, now more than ever, a play that speaks with compassion and heart about the migrant and refugee experience is something that we would like more people to experience. Just after the production, Kristine Landon Smith took up a post as Lecturer in Acting at the National Institute of Dramatic Arts (NIDA) in Sydney, Australia but she is now returning to the UK and we are at present exploring how to re-mount the production. You are currently involved in a project working with refugees alongside artist Jane Ray. Can you tell us about that? Every Tuesday Jane Ray and I work together at Islington Centre for Refugees and Migrants. Jane has been running an art class there for several years and just over a year ago invited me to join her. We explore themes common to some of the universal images in Tan’s graphic novel such as the giant egg; the natural world; patterns; landscapes past, present and imagined. We paint and we talk and we write. We are building an anthology of stories and images from working with refugees at the centre. In June there will be an exhibition at Amnesty International. The collaboration has brought Jane and me together as artists and we have created a novella Corey’s Rock to be published by Otter Barry Books in 2018. Please tell us about your storytelling quilt? The storytelling quilt has become a bit of a signature piece for my school visits, especially for creative writing work. Technology is not my first language and I am far from fluent in the many and changing languages you can speak in it! I always feel a step—or several strides—behind. So when I started visiting schools to talk about my books and writing, I tried to skill myself up and have some power points and book trailers to show. They were good and I do still use them but I felt a central piece was missing. You have to bring your whole self to storytelling. It’s a visceral process of smell, sound, words, music, texture, memory, imagination, found objects… I felt I wanted to take something to young people and to teachers which is a reminder of that. I met Grace Manning, a young designer, when she was still a student at Central St Martins and she designed an exhibition around my story Kite Spirit for Pop Up Festival.Young people enjoyed exploring the book through image, sculpting, painting and writing so much that I asked Grace if she would make me a patchwork quilt I could pack into a suitcase and take around with me. The pockets of the quilt contain symbolic objects from each of my stories. There are photographs, feathers, stones, dreamcatchers, kingfishers, keys, oboe reeds, artichokes, leaves, an old lady’s handbag and perfume. There are parts of the quilt that smell of jasmine (jasmine flowers from Jasmine Skies) and lemon soap for Dawn in Kite Spirit, sandalwood joysticks for Nana Josie in Artichoke Hearts and Joy perfume for Alice in Brace Mouth, False Teeth. I am aware that I am a learner who needs to feel immersed in different worlds; I need every sense to be stimulated. 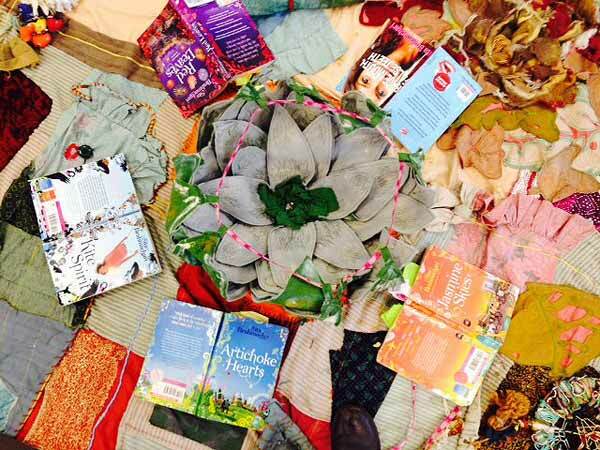 The patchwork quilt of storytelling allows young people to share in that 3-D world. It is for me what word weaving is all about! 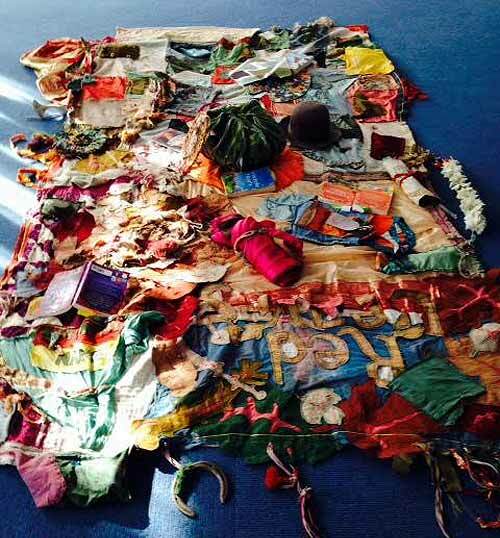 Some wonderful stories by young people have emerged from sitting around this quilt. I think of it as a story hearth. I am busy word weaving! I am working on the third in what I now see is as the ‘family cycle’ of Artichoke Hearts, Jasmine Skies and finally this new novel to be published by Macmillan Children’s Books in 2017, Charmed Earth. I don’t want to give too much away but this new rites-of-passage story is told by twelve-year-old Laila Levenson: for readers of my earlier books, she was the baby in Artichoke Hearts – Mira’s no-longer-baby sister. I have been putting the finishing touches to a short story coming out in August. Here I Stand is an anthology of YA writing for Amnesty and Walker Books. My story ‘Stay Home’ is told through the eyes of a teenager who is also a full-time carer. I am also writing a short story in the Stripes and Crisis at Christmas appeal anthology I’ll be Home for Christmas. Following publication of Brace Mouth, False Teeth and Car Wash Wish I have two more commissions for Barrington Stoke: one in the 9-11 age range and the second a teen read. I have started making notes on the first of these stories. And… I always have a few new stories mulling in notebooks above my desk. I was given a collection of Beatrix Potter stories in a book box (I loved collections in boxes!) and they absolutely spoke to me of my Lake District Landscape, where I grew up. My uncle Nirmal Brahmachari, who is a poet published in India and Norway (where he lives), brought me a children’s version of the Ramayana… With wonderful illustrations of the Gods and Goddesses… And there I met the first Sita I had ever seen in a book! I met quite a few after that but it was a feeling of recognition. I loved the mythical, dream-like quality of these classical stories. Paper. I was given an e-reader as a present and I can see that it’s great but I do like the page. I also have an odd psychological block with screens where I can’t quite believe in the validity of the word on a screen in a way that I can on the page. I have to print off drafts of my books very regularly as it’s not until I see them on paper that I start to believe they are really a book! I knew next to nothing about Icelandic Culture before I read this book. I felt completely immersed in the landscape and the world Kent describes. I felt I was with Agnes the protagonist in 1829 and followed every step of her story through her harsh landscape and world. 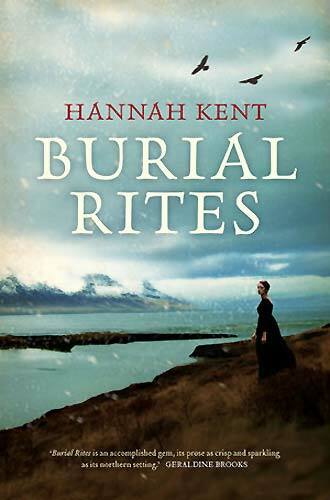 I was lucky enough to hear Hannah Kent speak about researching the story and I very much admire her immersive approach, allowing the research to seep into her imagination. Reading this novel made me want to go to Iceland. A mountain every time! I love the moods of the mountains… that you can experience so many weathers in one day. I love the way the mountains remind you of your fleeting place in time and history and how everyone is subject to the power of nature. It’s the charm of course! I’m wearing it. The layers of the artichoke have become a bit of a metaphor for writing for me. I imagine the charm… And now it’s real. (My husband had it made for me to the exact description in Artichoke Hearts.) Books are a work of the imagination that manifest themselves into something real. The process of writing is for me about examining each layer of a story and its characters and landscape until you reach the heart. So now… I need to wear the charm to write! Well, I have always wanted to fly! For as long as I can remember I have dreamed of flying. 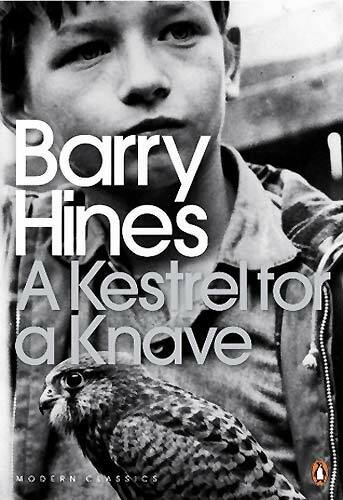 I first got the feeling that stories and the imagination could help you fly when I read A Kestrel for a Knave by Barry Hines, This is the book the famous film Kes about the boy and his kestrel is based on. I could empathise with the boy who felt confined by school and life and wanted to spend time in nature… So reading this book made me want to write and fly at the same time! I have written about that experience of a bird being a reminder of our ability to be free to move across borders and boundaries many times. I am a bit obsessed with birds in my stories. I am squeamish in the extreme considering I am the daughter of a doctor and a nurse – or maybe because of it! Once when I was about fourteen my dad asked me along to see the delivery of a baby on Christmas Eve. I fainted. But I have always harboured a wish since then to become a midwife! A jog with Billie our beloved little dog who helps me up the hills! Quick check of anything urgent on email. Re-reading and editing chapters of Charmed Earth… Hovering over and finally deciding to cut a chapter it took me three days to write! Researching a famous person and what their relationship was to their school. Planning the next workshop session for the Islington Centre for Refugees and Migrants with Jane Ray and the Amnesty Exhibition. Checking emails again. Looking up Twitter/ FB and what’s going on in the world. And…. sigh of relief at the end of the day… I always look forward to losing myself in someone else’s story! 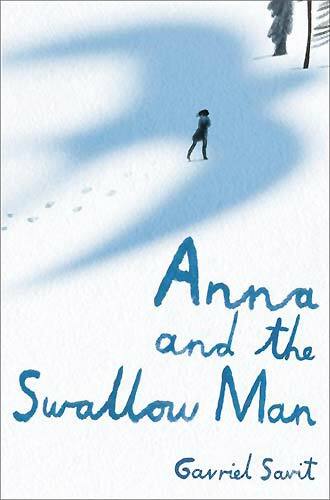 At the time of writing this I am reading the beautiful and profound Anna and The Swallow Man by Gavriel Savit. Visit Sita’s website and find Sita on Twitter. and during her six-month writer-in-residence post with Book Trust. A Kestrel for a Knave, Alice Walker, Amnesty International, Anita Desai, Anna and the Swallow Man, Artichoke Hearts, Barrington Stoke, Barry Hines, Beatrix Potter, Ben Okri, Brace Mouth False Teeth, Burial Rites, Car Wash Wish, Charmed Earth, Children's and YA books about disability, Circus Space, disability in children's books, Gabriel Garcia Marquez, Gavriel Savit, Grace Manning, Hannah Kent, Here I Stand, I'll Be Home for Christmas, Isabelle Allende, Jane Ray, Jasmine Skies, Kite Spirit, Kristine Landon-Smith, Let Books Be Books, Macmillan Children's Books, Maya Angelou, Methuen Drama, Mira in the Present tense, MWD interview, Nirmal Brahmachari, Red Leaves, Rohinton Mistry, Salman Rushdie, Shaun Tan, Sita Brahmachari, Tamasha Theatre Company, The Arrival, Toni Morrison, Walker Books, Waterstone's Children's Book Award, Wole Solinka, Zadie Smith. Bookmark. I think you will love Sita’s writing, Joanna. And Kite Spirit is a wonderful evocation of the Lake District (I grew up in Penrith so felt a real affinity with it too).